You can receive email or text message reminder for calendar events. If you are subscribed to receive alert reminders, and we change one of our events, you will be notified of that as well. Choose to receive reminders for all events on a particular calendar. We have calendars for each school, Board of Education meetings, Athletics, Holidays and Vacations. Click the yellow bell above the calendar. 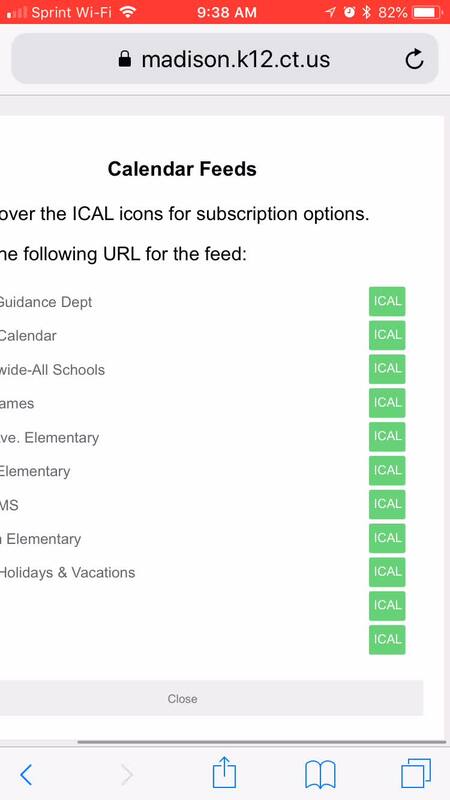 To subscribe to just one calendar event, follow the above instructions but start with the yellow bell next to the event for which you want to be reminded. If you use an electronic calendar (such as a Google Calendar or a calendar on your smartphone), you can have all of our events automatically appear on your calendar. If we change our event, the change will be reflected in your calendar as well. Click on the gray fan icon on our calendar page. A new window opens with a list of all of our different calendars. Please note that Holidays and Vacations are on their own calendar. This calendar is filtered onto all of our school calendars. Hover or click on the green iCAL button that corresponds to the calendar of your choice. Click on the URL option for your calendar. If you are on a smartphone it will auto-add the link to your calendar and you are finished. If you are on a computer you will be given the URL to copy and paste into your calendar. Video instructions for Calendar Sync. Video has no sound. 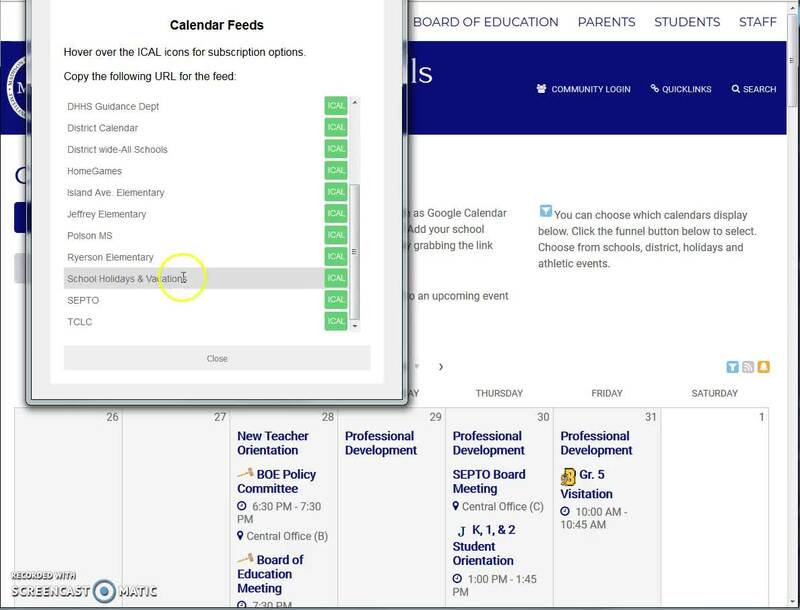 This is an example of Google Calendar. Other brands might be somewhat different. Click the plus sign to "Add a Friend's Calendar". Follow these instructions to sync our calendars with your own electronic calendar to stay up-to-date!